Morocco has cut diplomatic ties with Iran over its support for Hezbollah in arming and training the Polisario. The connivance between the Lebanese shiite militia and the Polisario separatists raises questions over Algeria’s involvement in allowing two terrorist organizations to operate from its territory against Morocco’s territorial integrity. Foreign Minister Nasser Bourita told the press that Hezbollah with support from Iran’s embassy in Algiers channels surface to air missiles including SAM9, SAM22 and Strela. Such military aid obviously requires Algeria’s green light. The Moroccan Foreign Minister said that he presented to Iranian peer in Tehran “starking evidence” of Iran’s involvement prior to recalling the Moroccan ambassador. The Iranian Chargé d’Affaires in Rabat was also asked to leave the Kingdom. The presence of Hezbollah military officials in Algeria confirms once more that hostility to Morocco’s territorial integrity has become Algiers’ doctrine. Bourita said that Hezbollah military experts have visited the rear-base of Polisario in the Algerian territory where they trained Polisario separatists on urban warfare. Such an action can only be taken with Algeria’s approval. In allowing a terrorist organization committing crimes against the Syrian people to operate in its territory, Algeria has flouted neighborliness and went too far in its hostility to Morocco. 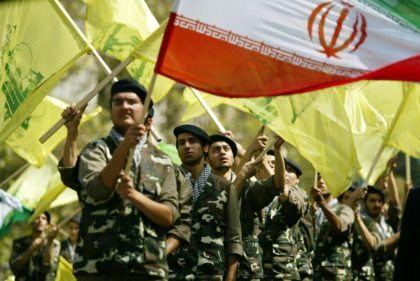 The presence of Hezbollah in the Algerian territory further stresses the reports pointing to a connivance between Algiers and terrorist groups, which it has been using to unsettle its Sahel neighbors. The role played by Algeria in perpetuating the conflict in the Sahara and blocking any political solution on the basis of the autonomy initiative will leave the Sahara conflict lingering for years to come. Morocco stresses that negotiations for a lasting solution to the Sahara should include Algeria, which pulls the strings of the Polisario. UN Security Council Resolution 2414 on the Sahara, adopted last Friday, has called on neighboring countries to play an effective role in the peace process. But Algeria refuses to pull its head out of the sand.